Over the past 2 days there has been a political debate in the Russian press concerning the events of exactly 27 years ago, and the metabolic state of Russia’s first President, Boris Yeltsin; and whether or not he planned to flee to the American Embassy during the attempted putsch of August 1991. Recall that Soviet patriotic forces wished to suppress this foreign-sponsored anti-Soviet maverick, restore order, and place the rebel Yeltsin in jail (or the drunk tank, preferably), which is where he rightfully belonged. Also be aware that the word “putsch” is used in more than one meaning here. To the “Soviet patriotic” forces, Yeltsin was the putschist attempting to overturn the legitimate Soviet government. 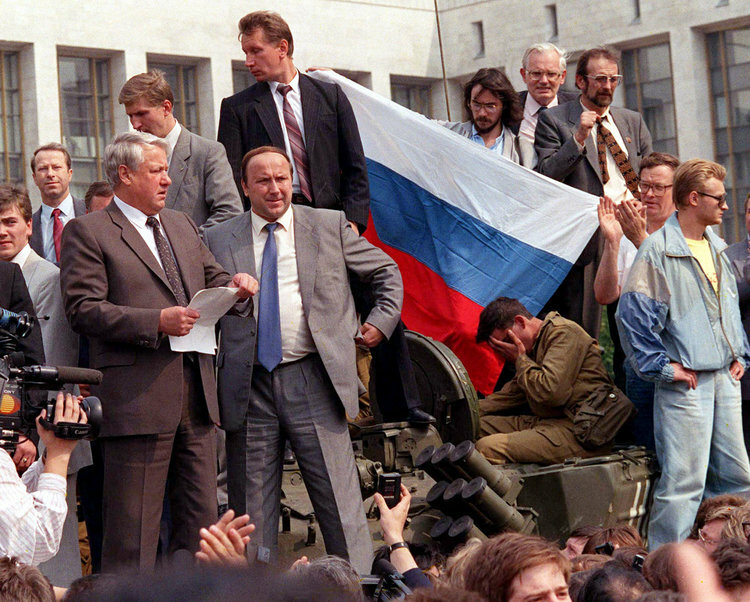 To the other side, the Soviet patriots were the putschists attempting to arrest Yeltsin. As in any revolutionary (or counter-revolutionary) event, it is the victors who get to decide who was legitimate and who was the putschist upstart. Well, Yeltsin won, of course; but that does not prevent his detractors, 3 decades on, from attempting to smear his glorious legacy. Major-General (retired) Alexander Rutskoi, former Vice President of the Russian Federation. Rutskoi started this kerfuffle when he gave an interview to Moscow Komsomolets, the gist of which was to repent of his own ghastly past and role in this disgraceful dismantling of the USSR. 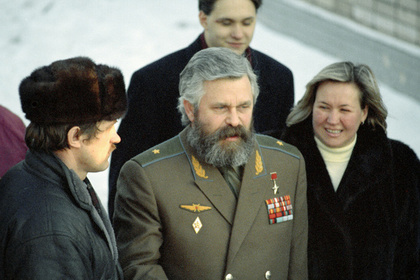 Rutskoi’s confessions were refuted by Major-General Vladimir Petrovich Vorozhtsov, former head of Signals of the Internal Security, who defended Yeltsin’s pristine person and remains loyal to the Yeltsin legacy. Next, Vorozhtsov’s “refutation” was duly refuted by Ruslan Khasbulatov, former Chairman of the Supreme Soviet of the Russian Federation, who confirmed Rutskoi’s side of the story. I now proceed to summarize all 3 sides of this 3-way catfight. During the days of the August putsch, he says, Yeltsin went on 3-day bender and even attempted to flee to the American Embassy. “I did not wish to experience such a disgrace, because every time word came through of the impending storming [of the Supreme Soviet building where Yeltsin was holed up], Yeltsin tried to flee to the American Embassy.” Rutskoi himself flew off to Phoros, in the Crimea, to bring back USSR President Mikhail Gorbachev. This entry was posted in Cat Fighting, Celebrity Gossip, Russian History and tagged Alexander Rutskoi, Boris Yeltsin, Ruslan Khasbulatov, Vladimir Vorozhtsov. Bookmark the permalink.